In July 1999, Jim Wright and his wife Joyce were traveling along a New Mexico roadway in their 1995 Fleetwood American Eagle RV when, suddenly, the vehicle’s left-front tire failed. The tire was a Goodyear G159, a tire now linked to numerous fatal crashes but has never been recalled and has never faced a serious federal investigation until recently. Wright tried—and failed—to regain control of his RV, which eventually slammed into another motorhome head-on. The motorhome Wright crashed into—a 1997 Fleetwood RV—was driven by Gilbert Van Hesse, who was overseas from Belgium with his wife, Rita Beeldens, on a road trip to celebrate their 40th wedding anniversary, Wright told Jalopnik. “It destroyed the other motorhome,” Wright said, “and took the right side out of ours.” The deaths of Joyce Wright and Rita Beeldens marks the 11th and 12th fatalities linked to crashes involving the G159. The crash—unearthed this week by Jalopnik and that doesn’t appear to have been previously reported to regulators—may raise questions from investigators with the U.S. National Highway Traffic Safety Administration, which has been examining for months whether the G159 is defective. “And when we settled, they didn’t have to admit any guilt, and I didn’t care for that at all,” Wright said. Produced from 1996 to 2003, the G159 was designed “specifically” for regional delivery vehicles, records show. But Goodyear has claimed the tire had multiple applications, and an estimated 40,000 ended up on RVs—including 39 models made by 17 manufacturers. The tire failed on as many as one in 10 motorhomes, court records indicate, a failure rate that surpasses the infamous Firestone tires of the 1990s. But the list submitted to Kurtz includes no mention of the Wright and Van Hesse fatalities. Jalopnik identified the crash after catching a citation of the Wright case in a lengthy court filing from a separate G159-related lawsuit. Their court files—obtained from the 249th District Court in Johnson County in Texas—echo allegations brought by Kurtz and other plaintiffs in more than 40 lawsuits that say the G159 was prone to heat-induced failure when used on RVs at highway speeds. Goodyear previously told Jalopnik that it doesn’t believe there’s a safety-related defect with the G159 being used on RVs. The company did not respond to requests for comment on this story, but it denied Wright’s allegations during the case and blamed him for “failing to maintain proper inflation pressure in the left-front tire of his motor home,” alleged speeding, and failing to maintain control of the motor home after the tire failure. Rod Squires, the Texas attorney who represented Wright and Van Hesse in their cases, couldn’t recall many details of the nearly 20-year-old case, but said he wasn’t aware of neither NHTSA’s probe nor the number of failure claims Goodyear has received over the G159. “I find that disconcerting,” he told Jalopnik. Nonetheless, he said it’s not a surprise—especially to someone who has litigated cases over the defective Firestone tires. Wright didn’t learn about the NHTSA investigation either until speaking with a Jalopnik reporter. “It’s only been about 20 years,” he said, “so they’re a little slow in reacting, aren’t they? NHTSA asked Goodyear in April to provide a tally of all injury and death claims stemming from the G159 failing, but it’s unclear if the tire maker submitted records pertaining to the crash. The agency declined to comment about the specific crash. “The agency is carefully evaluating all available data and will share any findings upon conclusion of its investigation,” NHTSA told Jalopnik. The crash underscores claims levied for years by plaintiffs that Goodyear has engaged in a systemic pattern of obfuscation to conceal concerning details about the G159. A lawsuit filed late last month accused Goodyear’s CEO, Richard Kramer and the company’s board of directors of taking “active steps to conceal and avoid disclosure” of their involvement in an alleged cover-up of problems linked to the G159. Along with NHTSA’s defect probe, the Department of Transportation’s office of inspector general has a separate ongoing probe of its own that could lead to criminal charges. 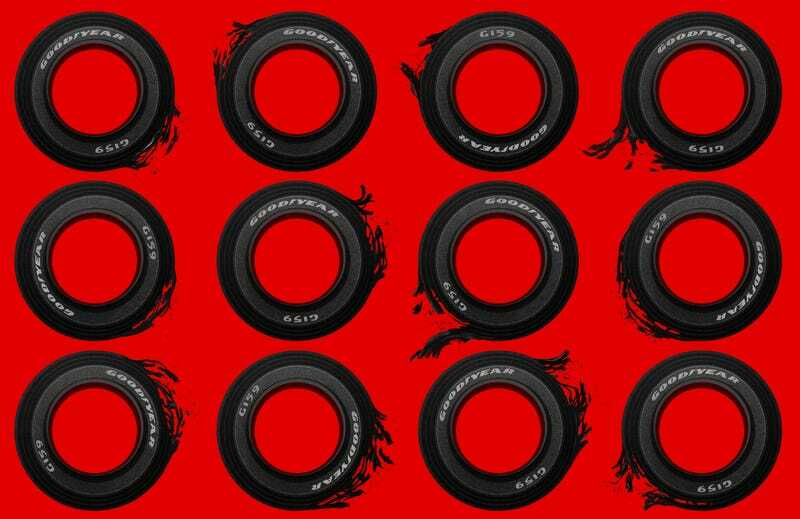 The investigations follow years of accusations that Goodyear execs failed to recall a tire that didn’t even pass its own internal tests for operation at highway speeds. Safety advocates said the fatality figure revealed at this point raises serious questions about the company’s handling of the G159. A central issue in the Wright and Van Hesse cases turned on exactly where Goodyear produced the G159. The tire that failed on Wright’s Fleetwood RV was made at Goodyear’s factory in Wolverhampton, England, records show, before being imported to the U.S. Goodyear initially made the G159 RV tire at the English plant prior to the U.S. production launch. The English-made G159 was different in one regard: It had a difference in diameter size of 0.59 inches. But that doesn’t explain the omission of Wright’s and Beeldens’ deaths in the files that Goodyear submitted to Kurtz. The first two letters of a tire’s DOT code represents where it was manufactured. NB stands for Goodyear’s Wolverhampton, England, plant. Goodyear reported 11 crashes to Kurtz related to English-made G159 failures, according to an analysis of failure claim data by Jalopnik, or about 1.6 percent of all failures. One RV owner reported two failures involving English-made G159s, records show. What prompted Goodyear to include claims from some G159s manufactured in England, but not the one on Wright’s RV, isn’t clear. Kurtz declined to comment, citing the ongoing investigations and his pending litigation. Wright and Van Hesse alleged that Goodyear “knew it was likely that the Great Britain tires would be mixed with United States-made tires in a dual configuration because the Great Britain tires had been distributed into the United States” and would be swapped with U.S.-made G159s, if and when an English-produced tire needed to be replaced. “Goodyear also knew that in tires of this size, the diameter difference in a dual assembly configuration should never exceed .50 inches and to do so would lead to over-deflection and overheating of the tire and these conditions would result in blowouts, tread or ply separations, and tire body breaks,” the victims alleged. From there, the relationship between Fleetwood and Goodyear deteriorated, with the former ultimately nixing a business deal with the latter as a result of problems with the G159. Following a string of crashes, it was Fleetwood that conducted a recall in 1999 for about 3,700 RVs with Goodyear G159 tires, but not because either party believed there was a defect with the tire. The recall notice filed with NHTSA included model year 1996-2000 Fleetwood American Dream and American Eagle RVs. Fleetwood said the RVs“can experience an overload condition on a front tire,” if the vehicle was built with a disproportionate front axle weight distribution, fully equipped, loaded with cargo, and operated with improper tire pressures—or, put simply, user error. Goodyear has long argued the RV tire failed not as a result of heat, but due to some sort of mishap by the vehicle operator. Privately, Goodyear knew the G159 had become problematic for its relationship with Fleetwood. In an April 1999 email, one Goodyear engineer admitted the company “has taken a pretty good hit” due to G159 failures on Fleetwood RVs. Two months later, the company advised Fleetwood that the G159 “does not offer enough margin for operational loads,” another Goodyear memo said, and suggested swapping them out for a larger aspect ratio tire. Fleetwood announced the recall in October to do just that, and by May 2000, it told Goodyear their relationship was over. It planned to name Michelin as the American Coach OEM tire for model year 2001. A photo of the G159 that failed in a fatal 2004 crash. The Wright and Van Hesse cases took issue with Fleetwood’s conduct, as well. The Fleetwood recall only covered model years 1996-2000. Fleetwood claimed the 1995 motor homes weren’t included because the safety issue was associated “only with independent front suspension, not front suspension systems equipped with a solid front axle,” the Van Hesse lawsuit said. But Wright and Van Hess said Fleetwood’s own testimony showed that wasn’t true. Goodyear was well aware of G159 failures on 1995 Fleetwood RVs, and included them in the materials submitted to Kurtz that were later turned over to NHTSA. RVs covered by the recall represented 81 of the reported G159 tire failures, about 14 percent of the total claims included in the list Goodyear submitted to Kurtz. An additional 15 claims reported by Goodyear—about 2.2 percent in total—involved 1995 Fleetwood American Dream and American Eagle models, according to Jalopnik’s analysis, underscoring questions about why the Wright and Van Hesse cases weren’t provided to Kurtz. All told, the crash leaves more for NHTSA to unpack and assess in its determination of whether the G159 is defective, and if a recall should’ve been issued decades ago. Wright said he still has vivid memories of the crash, and said he felt the investigation is too little too late. “It’s not going to bring my wife back,” he said. He believes that companies the size of Goodyear should be obligated to publicize the sort of case he and Van Hesse went through.